Delamar Arias, well-loved radio dj is back for Str8 Up with Delamar, an online talk show produced by award-winning website, the 8list.ph. 8List is a dynamic website known for making lists that resonate with Filipino millennials. With a pulse on the Pinoy, it has consistently published content that is always informative, enlightening, yet entertaining. 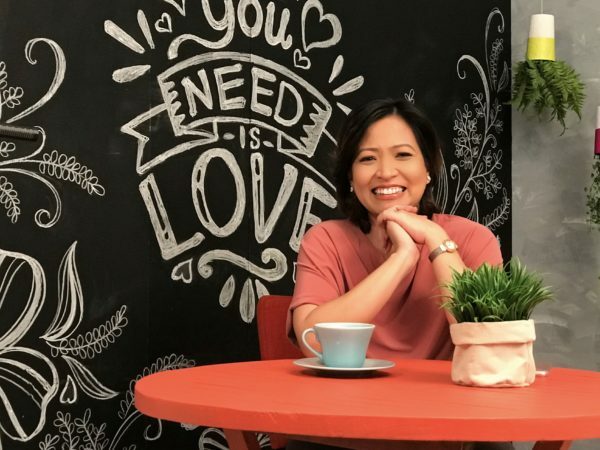 The website known for viral stories reached out to Delamar, coaxing her out of retirement because she is undoubtedly someone Filipinos listen to and admire. Str8 Up with Delamar is her first solo program after she bid goodbye to a radio career that spanned more than 2 decades. She was a mainstay for the award-winning radio show The Morning Rush on RX93.1. Although the decision was not easy, the needs of her growing family came first. But after a year as a stay at home mom, she felt that she still had a lot of things to say. She knew that with her most important role now as a mom, her world had changed, and figured she needed a different platform to have a different kind of conversation with the public. “Everyone’s on the internet now and it’s such a great place to engage with people. Here, I could collaborate with a team and create content that can really open people’s minds. Or at least entertain them.” Whatever the conversation is about, she promises the show will always present something new or different. Str8 Up provides Delamar a digital platform to tell her experiences and express her unique opinions to educate in a clear and fun way. With her different perspective on relevant topics ranging from politics, relationships, and everything in between, which she will be delivering straight up. With Delamar, Str8 Up aims to be a voice of discovery, striving to talk about important issues both old and new with well-thought-out arguments backed by research — a refreshing break from the usual fare online. The first of the series to be aired will be all about comfort zones which Delamar is all too familiar with. Transitioning from radio to video is not an easy feat but this is where Delamar shares how she grew in doing so. She also encourages other people to do the same — get out of their comfort zones and learn something new, every week by watching her show on the 8list Facebook page, and then participating in a Live Chat right after the video. Like the 8list Facebook page so you can watch Str8 Up every Wednesday at 12 noon beginning June 21 and catch Delamar on her live FB video chat following every episode. Check out Str8 Up teasers on the official Facebook page of 8List for updates.